Revel in the al dente goodness with Yellow Cab Pizza’s Piso Pesto Pasta Promo! Snack o’clock always calls for a superb and mouthful burst of flavor. 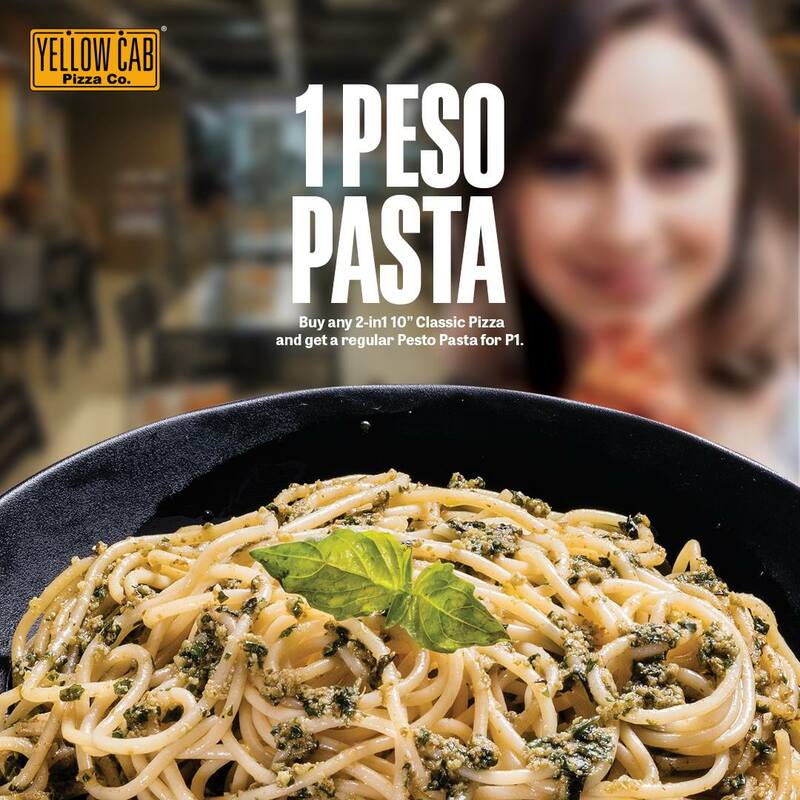 Veer away from the same boring spaghetti and get your dose of carbs from Yellow Cab Pizza’s Piso Pesto Pasta Promo. For the entire month of March, you can get one (1) regular Pesto Pasta for just 1 Peso (Php1.00). All you need to do is order any 10-inch, 2-in-1 Classic Pizza for Php399. Spice up your food-trip adventure with a perfect match made in heaven. This promo runs from March 1-31, 2019 for Dine In, Take Out, Delivery, and Curbside Pick-Up transactions. Log on to http://delivery.yellowcabpizza.com to place your order. You may also dial (02)-789-9999 to order. 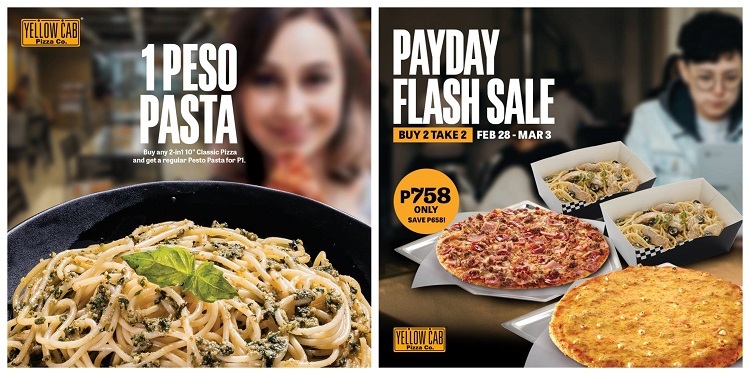 If you are looking to satisfy huge appetites, might as well check out Yellow Cab’s Payday Flash Sale. 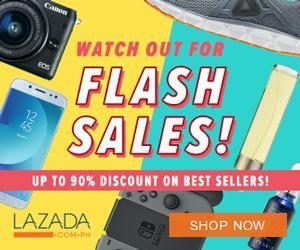 Give in to your cravings without a second thought and treat your tummy to a no-holds-barred binging spree of Buy 2 Take 2 deal from February 28 until March 3, 2019. Buy one (1) 10” Manhattan Meat Lovers and one (1) Large Chicken Alfredo Pasta for just Php758. Save Php658 with a FREE 10” #4 Cheese Pizza and Large Chicken Alfredo Pasta. This offer is available for Dine In, Take Out, Voice Call and Online Delivery. Call their delivery hotline (02)-789-9999 or log onto http://delivery.yellowcabpizza.com when you are ready for the next hustle! For more details and update, you may visit their official Facebook Page.